The New York City Council approved zoning applications for development on the East Harlem site which was a 17th century African burial ground. The entire block of West 126th Street between First and Second Avenues will be rezoned to accommodate a development containing up more than 655,000 square feet of residential space, more than 300,000 square feet of commercial space, 30,000 square feet of community space, and 18,000 square feet dedicated to an outdoor memorial. The 126th Street African Burial Ground Memorial and Mixed-Use Project will honor the site’s history and create housing and jobs according to the city EDC. Read more here. 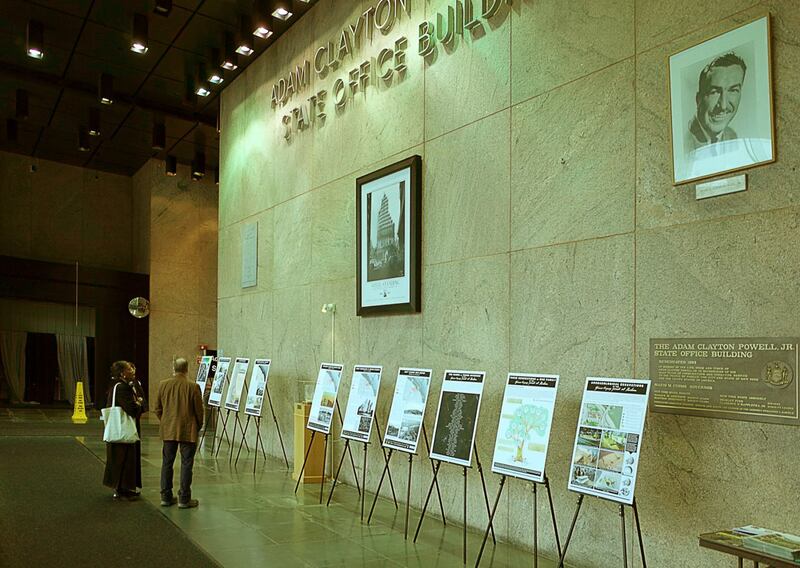 During the summer, ten presentation boards depicting the site and history of Harlem’s African Burial Ground were on view in an exhibit in the lobby of the State Office Building. The exhibit, presented by the Harlem African Burial Ground Task Force, which was unveiled on May 5th, focused on the historical significance of the site, and its history from the 1660s to present day, and was on view through September. Keep up-to-date with Harlem African Burial Ground news on the New Harlem African Burial Ground Task Force Website.